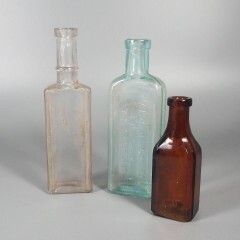 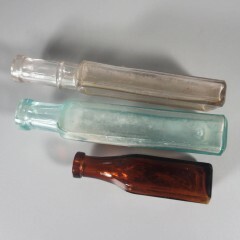 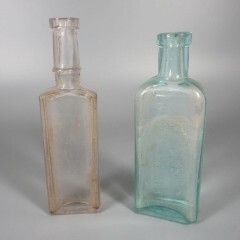 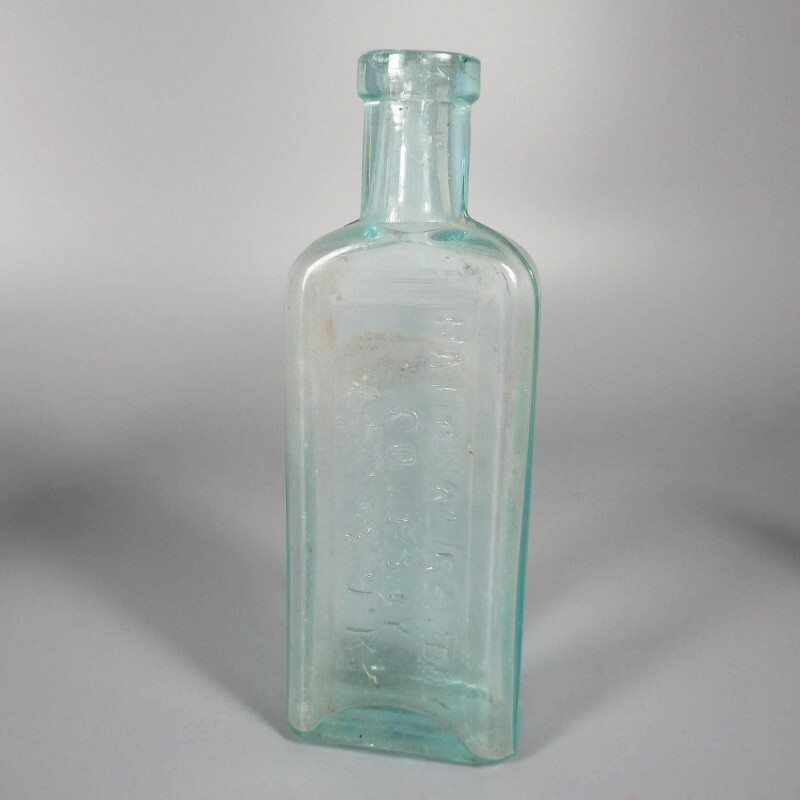 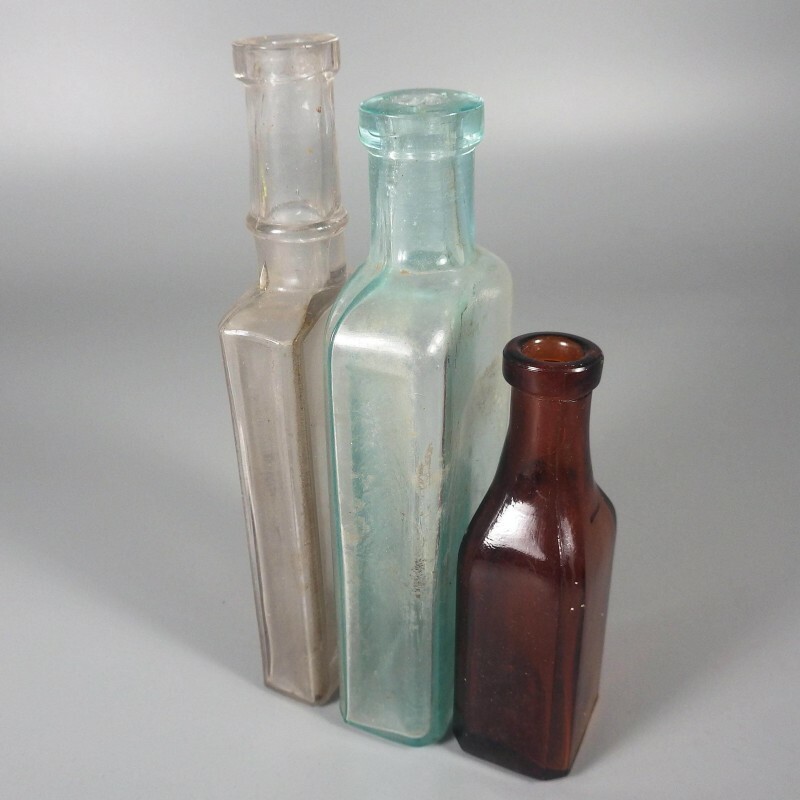 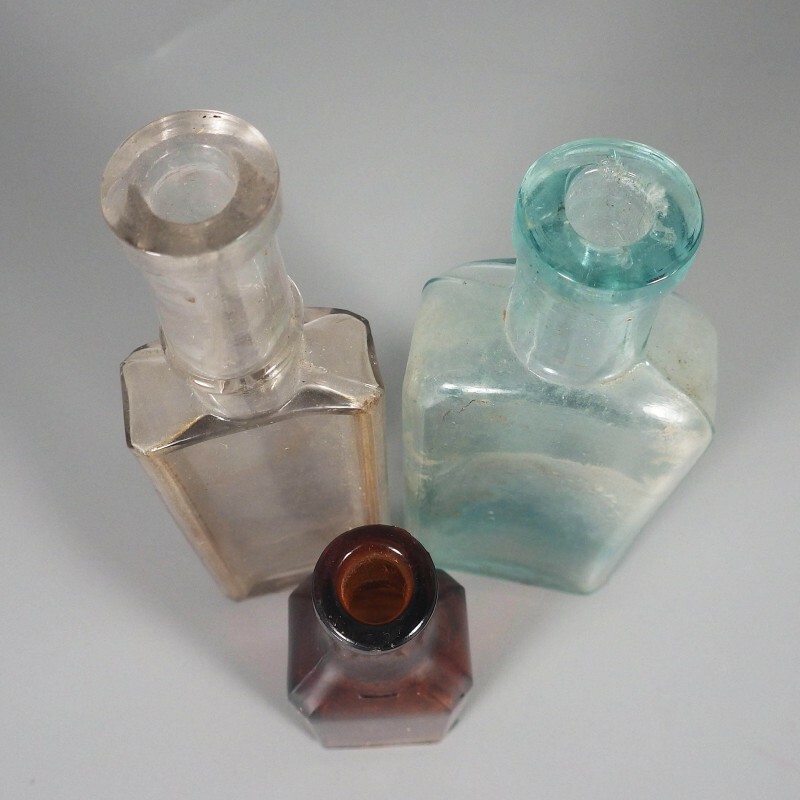 A lot of 3 antique (possibly vintage) glass medicinal bottles in three heights and colors. The next tallest bottle is a light aqua, standing 5-7/16 inch tall and 1 inch thick. The front panel is embossed with three lines that read NATIONAL REMEDY / COMPANY / NEW YORK. The shortest (amber) bottle stands approx. 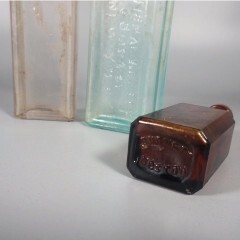 3-3/4 inch high and is embossed on the underside with BURNETT BOSTON and a "1" at the center. 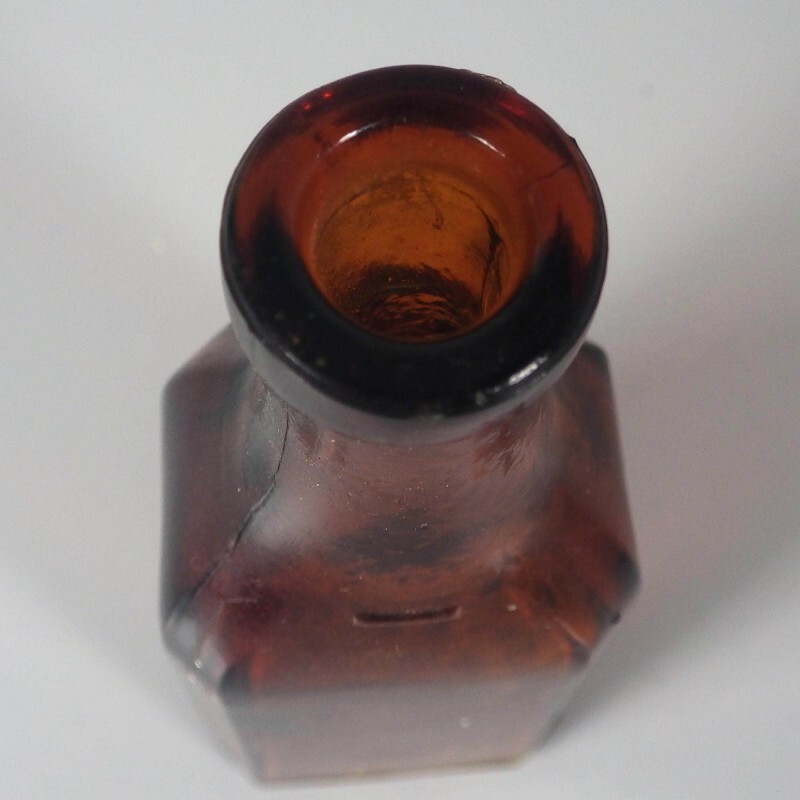 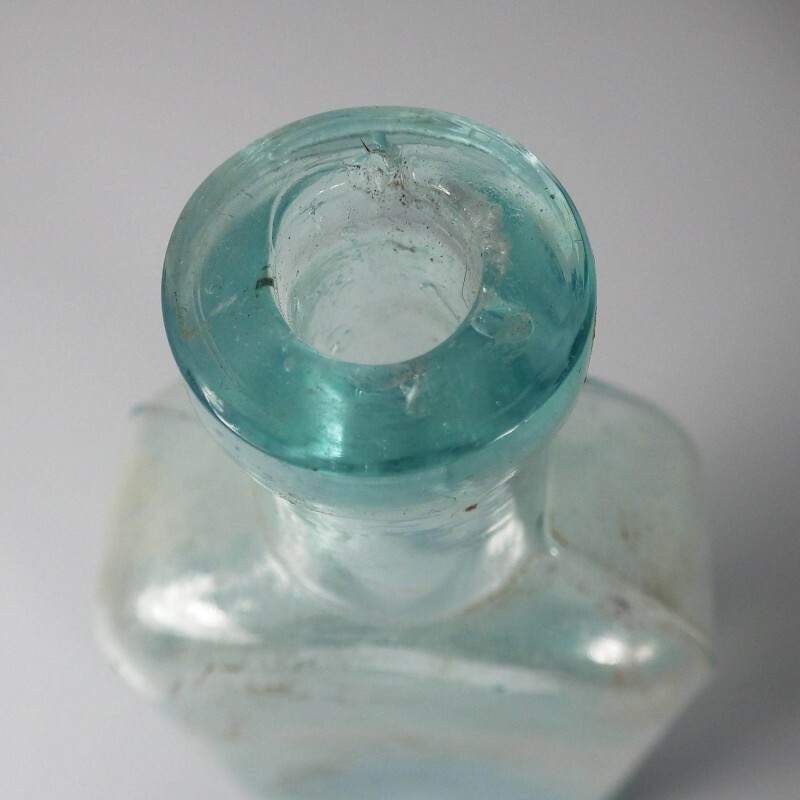 All bottles are being offered as found, with a bit of dirt on the inside and some roughness to the inner edge of the aqua bottle top. Vintage E.G. 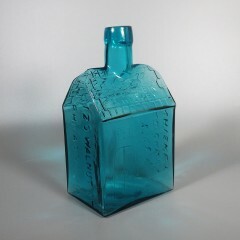 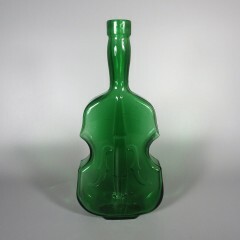 Booz's Old Cabin Whiskey House glass figural bottle in aqua blue. 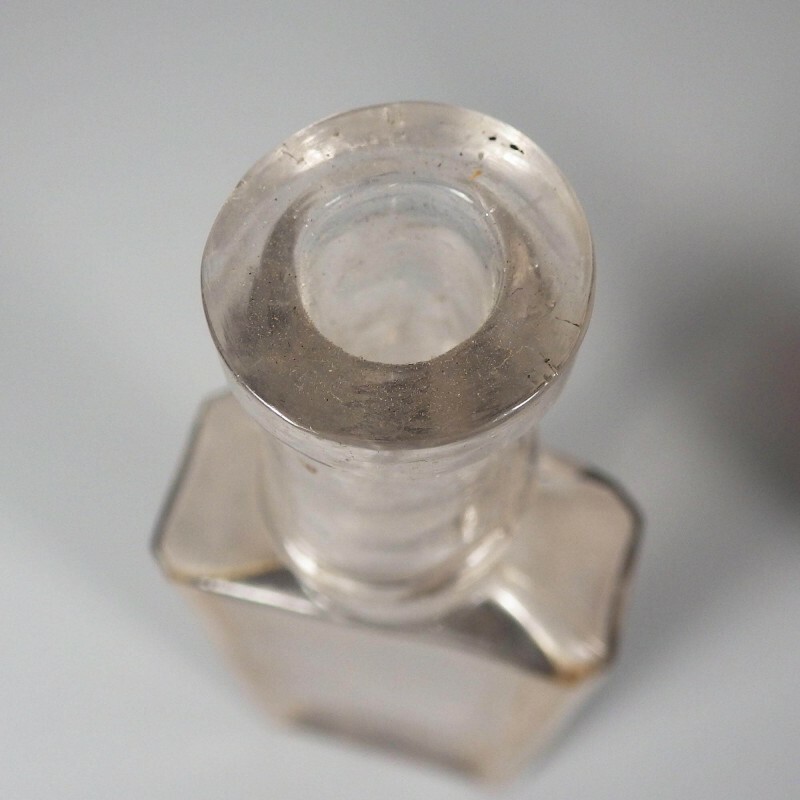 The bottle's beveled roof has the year 1840 embossed on one side, with the name (E.G. 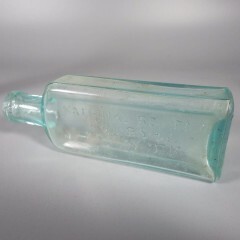 Booz's Old Cabin Whiskey) embossed on the other side as well as one side of the house. The opposite side of the cabin or house shows the address: 120 Walnut St., Philadelphia.This bottle stands approx. 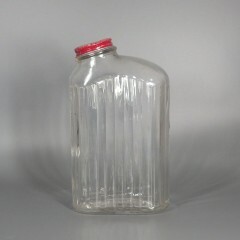 7-5/8 inch high, 4-1/16 inch wide, and 3 inch deep (at the roof line), and has a round recessed area on ..